Turkish desserts were unmistakably one of our favorite parts of traveling in this country. 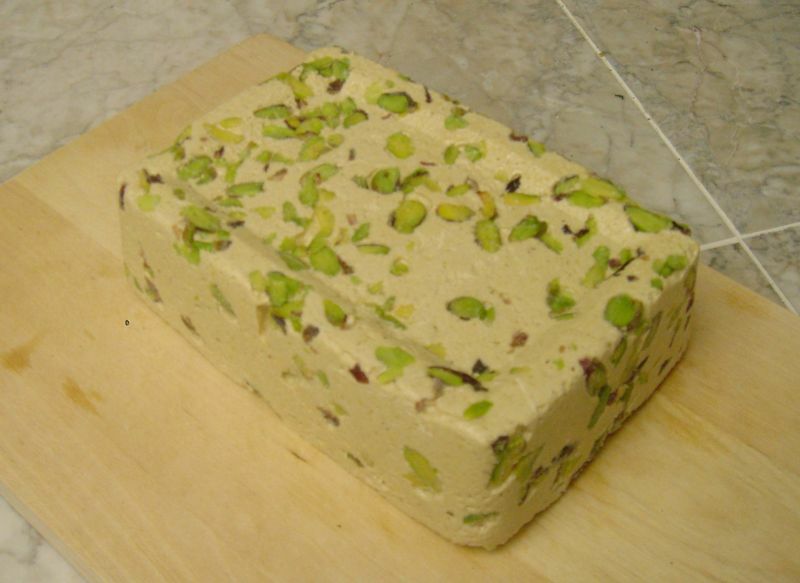 With its unique texture and fudge-like taste, halva quickly became a favorite. Here is the recipe to make home made halva, which can be mixed with pistacios, dried fruit or dipped in chocolate. 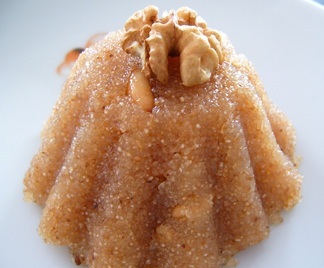 The first two recipes are for the sesame (or tahina) halva and the second is a more gelatinous dessert called semolina halva. Cream until smooth tahini and honey. Add soymilk powder and vanilla. Stir well. Should be stiff. Sprinkle pecan meal in bottom of 8 inch square pan. Press candy mixture into pan. Sprinkle top with pecan meal. Refrigerate, cut into squares. 2 Remove from heat and add Tahini and vanilla but do not stir. 4 Beat the mixture with a paddle or spoon for a few seconds. 5 Pour into a small buttered pan. A compote of dried fruits is wonderful alongside this dish. The pudding is also good served cold. It is very dense, so small portions are adequate. Above: Semolina shown without the dried fruit and nuts, which are optional in the recipe below. Place the sugar in a pan with the water, stir until dissolved and then add all the other ingredients. Strain and keep hot. In a pan, brown the semolina in the butter, then add the strained syrup slowly and keep stirring for 10 minutes until the mixture comes away from the sides of the pan. Add the currants, pine nuts, pistachios and candied peel. Press firmly into a lightly buttered, 2-cup mould or into smaller individual moulds (half-fill buttered teacups or demitasse coffee cups) and unmould while hot onto a plate. Serve with lightly whipped, unsweetened cream and poached fruit. Everywhere we looked there was a type of yogurt being used or sold somewhere in Turkey. 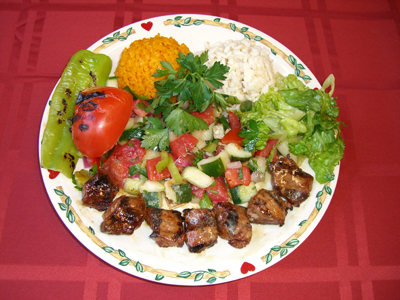 This recipe includes two of their favorite ingredients: lamb and yogurt.